Star chef Jordi Cruz’s ‘second’ Barcelona restaurant is a delight, and better in some ways than his flagship ABaC. Note: I prefer to review restaurants on their own merits and not in relation to other establishments but when you visit two in a week that are run by the same chef, some comparisons are inevitable. It isn’t essential, but the following will probably make more sense if you first read my thoughts on ABaC, chef Jordi Cruz’s flagship two-Michelín-star restaurant in Barcelona. You can find that review here. Angle is the shy little sister restaurant to the spotlight-stealing ABaC: a relatively modest, one-Michelín-star dining room in the Hotel Cram, which since 2013 has served a more modestly priced series of menus based around some of Cruz’s ‘greatest hits’. Some of the dishes here were conceived in Angle’s original location inland at Sant Fruitós de Bages, and some of them have been adapted from ABaC to fit the smaller restaurant’s less extravagant ingredients budget. When I’d visited ABaC the previous week, there had been much to like, but also some disappointments, so my optimism was tempered by a note of caution when I sat down in Angle. The room is neutral, with red chairs the only distraction from the colours on the plates, with the exception of a large papier mache (I think) effigy of the chef that stands beaming near the door. It’s lighter than I remembered it from when the same space hosted Gaig restaurant, with veiled sunlight coming through windows that look down onto the Eixample streets one floor below. The staff are highly professional, striking just the right note between being present and being unobtrusive. I was there at lunchtime, when a €45 menu is available, as well as the small (€60), ‘Angle’ (€80) and ‘Gran/Gourmet’ (€90) tasting menus. The latter began with a play on the typical Spanish starter of melón con jamón (melon with ham) — a delicate, transparent ‘focaccia’ atop a glass of liquid melon, supporting a sliver of excellent ibérico ham. Wine pairing was a cava (L’Hereu from Raventós i Blanc). Bubbles of Bloody Mary with celery and lime sorbet and salted fish was much more robust than the over-subtle ABaC version of the cocktail, with boozy bubbles popping in the mouth to leave an aftertaste that brins up the memory of many morning-after recovery attempts. Unfortunately, one of my least-favourite ABaC dishes was replicated very closely: a foie-gras corn taco. The taco is very delicate and disintegrates easily over the too-small serving stone, leaving your hands covered in foie, while the mole (not an ice-cream version this time, at least) is again too subtle to be effective. I just don’t see the point of the dish. It was rescued by a good wine pairing: Chateau Violete-Lamonthe A.O.C Sauternes. The good news: the taco was the one and only mis-step of an otherwise very enjoyable menu. A carpaccio of Palamos prawns with textures of pa amb tomàquet (tomato bread) was wonderful: a briny bath of juices from the prawn’s head over the flesh, tomato-infused ‘coral’ bread with hidden black olives, and tomato ice cream. It was paired with an Espelt Coralí rosé from Emporda, that matched up well in terms of both flavour and appearance. White asparagus isn’t my favoruite ingredient, but Angle’s en papillote version, wrapped around cod and anointed with a wild mushroom and kumquat broth, is good enough to make me a convert. The broth is the star, an umami-rich and citrusy delight that will have you reaching for the bread to mop up any that remains. It was paired with a Gruit Inferno beer from Belgium. I have complained elsewhere in this blog of booze-hopping pairings but the sommelier at Angle just about got away with it. My preference is still for an all-beer or all-wine (which includes sherry) pairing, but I’m not a hardliner, and it worked here. Speaking of sherry, a well-chosen Lustau El Almacenista manzanilla cut perfectly through the eggy ooze that followed: a brined egg yolk with caviar and botarga (dried fish eggs). The egg ‘white’ is mashed potato, which mixes with the broken yolk (cooked at low temperature in seawater) to form a salty, savoury, marvellous mess. Monkfish, landed in Barcelona and roasted (perfectly), served with a dark monkfish stock, artichoke textures and plankton, also benefitted from an interesting wine pairing: in this case a Capricis de Vilarnau Xarel.lo, D.O. Penedés, aged in chestnut barrels instead of oak. A mar i muntanya (surf and turf) suquet, with neat parcels of meat from chicken wings, langoustine and real, mortar-made alioli. The ‘chickpeas’ in the deeply aromatic, salty-sweet suquet are actually shaped almonds and the look on your face will be profound happiness. A glass of Carles Andreu Trepat was an adequate pairing but this is a dish that probably deserves something a bit more special. As indeed does the next one: Guinea fowl with foie gras and textures of aubergine was probably the best of the lot, and that’s high praise. The smoky aubergine provided a deep bass note to counterpoint smooth, sensual tones of the guinea fowl, making my head nod in approval. And look at it – just look at it. It’s beautiful. The dish was let down only by a blunt table-knife that wasn’t quite up to the task. Paired with Clos d’Agon Amic. The first dessert was a concoction of coconut, yoghurt, apple and yuzu and there was nothing wrong with it – the play of textures was noteworthy – but, like the desserts at ABaC, it fell short of the high standard set by the other courses. Well paired with a sweet Penedés Torrelló Vittios. ‘Chocolate passion’ added passionfruit to the main ingredient and would have been similarly good-but-not-great had it not been for a sensational scoop of Bailey’s ice cream, which redeemed it completely. Anyone wanting to win me over, just send a tub of this to my table. The Lustau PX San Emilio pairing was obvious but excellent. Overall, the dish was enjoyable but still left the nagging sensation that desserts aren’t Cruz’s strong point. Petits fours included Cruz’s signature frozen fruit lipstick, a mango jelly, a chocolate truffle and a dense, marzipan-like play on ‘tarta de Santiago’. First things first: on its own terms, Angle is a very, very good one-Michelín star restaurant. These are clever, well executed dishes with character that come together in a cohesive menu. Desserts are a weak link, relatively speaking, but still enjoyable, and the other courses more than make up for them. Service is good, wine pairings are exceptionally well matched with the dishes, and the room is very pleasant. All boxes are ticked and at its price point it’s one of the best. But there’s a big name on the door, and it has to be taken into account. When I wrote about ABaC, I noted that despite Jordi Cruz’s evident talent, the menu lacked structure and I urged him to return to his roots. I wanted to see what he’d do when unconstrained by the expectations of Michelín inspectors and well-heeled clients, freed from the shackles of the obligatory inclusion of so-called luxury ingredients. It turns out he’s already doing all that at Angle. The dishes here don’t represent the latest creations of one of Spain’s top chefs; they represent his accumulated knowledge. Angle doesn’t – quite – hit the highs of ABaC’s best dishes but its menu is less of a roller-coaster ride, and – for me – it was a more enjoyable overall experience. Sometimes limits – on ingredients and creativity – aren’t a bad thing. They force consideration of priorities and a process of decision-making that can lead to even greater results. I look forward to returning to ABaC to see what Cruz comes up with next; I look forward to returning to Angle to simply enjoy his dishes. 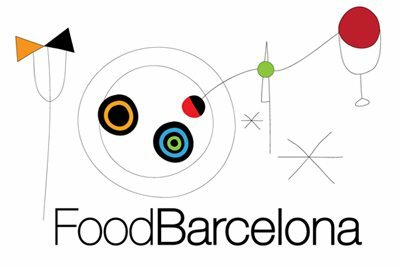 Find Angle on the FoodBarcelona restaurant map.